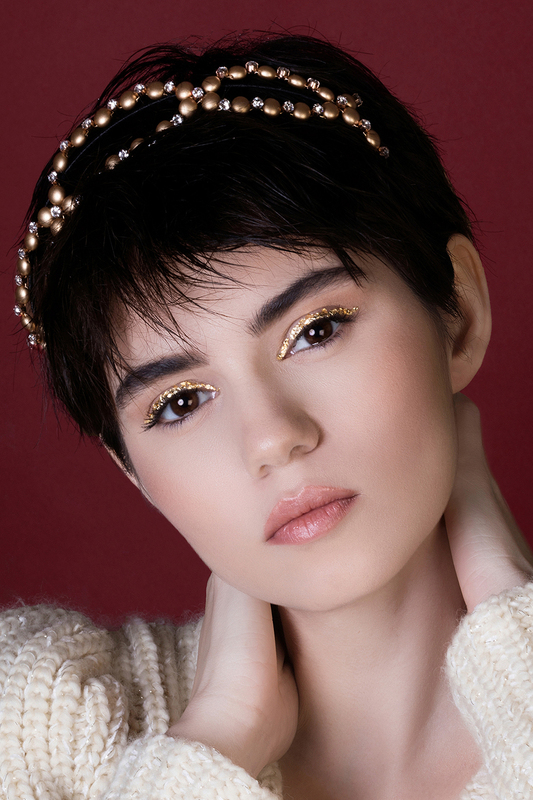 Fit this minimal approach of the matte gold finish glass beads and Swarovski crystal headband into your everyday outfit or test it for a more spectacular event appearance. The detail if fixed on a stiff headband but can also be worn upside down on the back. Let us know if you are up to for a more daring color and we will send you some options.